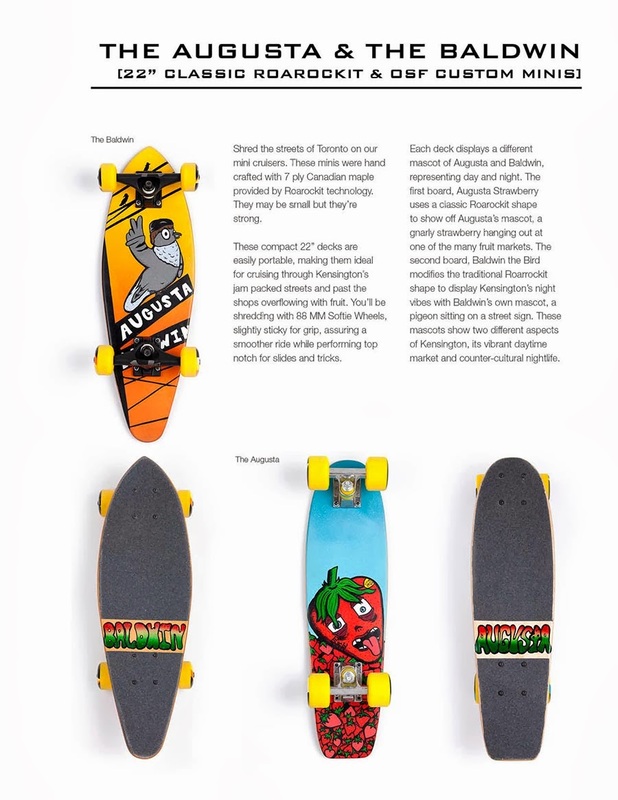 Fresh from the factory: the 2013 OSF Shop Deck has arrived! Happy Halloween from the OSF Crew! 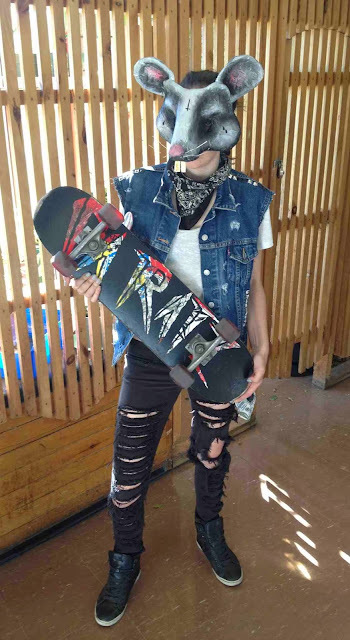 Could there be a high school credit in Halloween Costume Design?...OSF students would crush it ha! Watch BEAST BRIGADE now on YouTube! 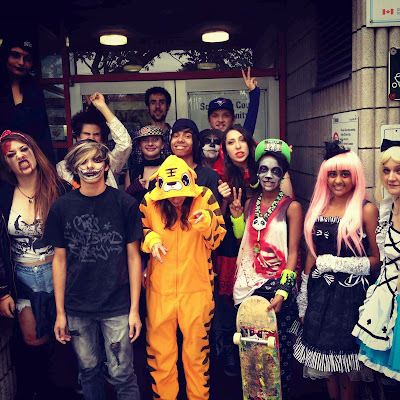 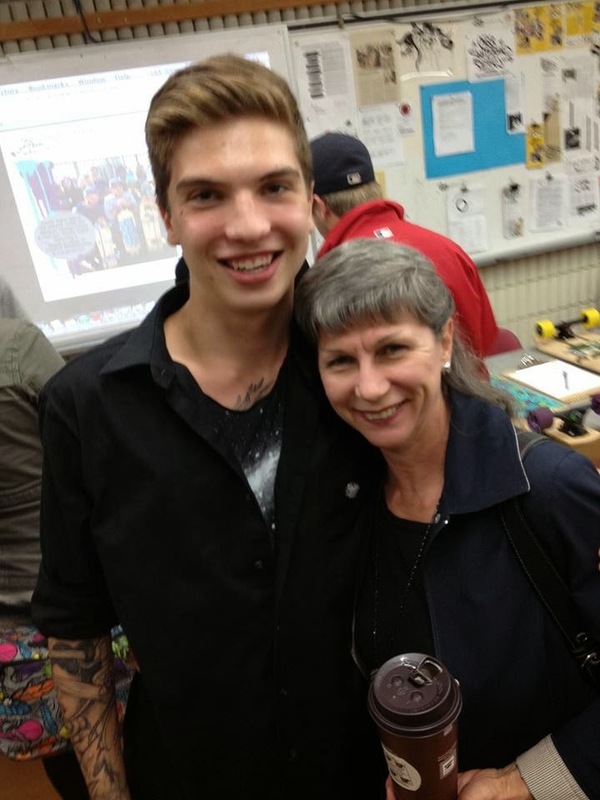 Beast Brigade is a film by ReelLit @ West End Alternative Secondary School in Toronto. 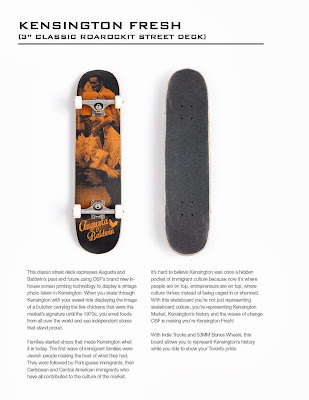 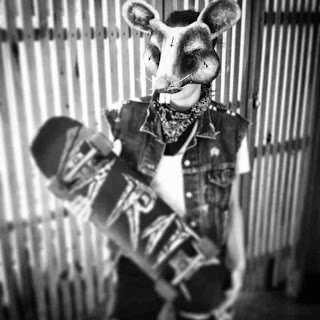 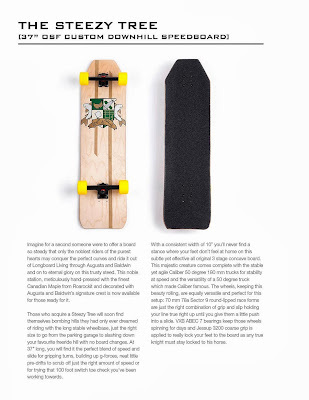 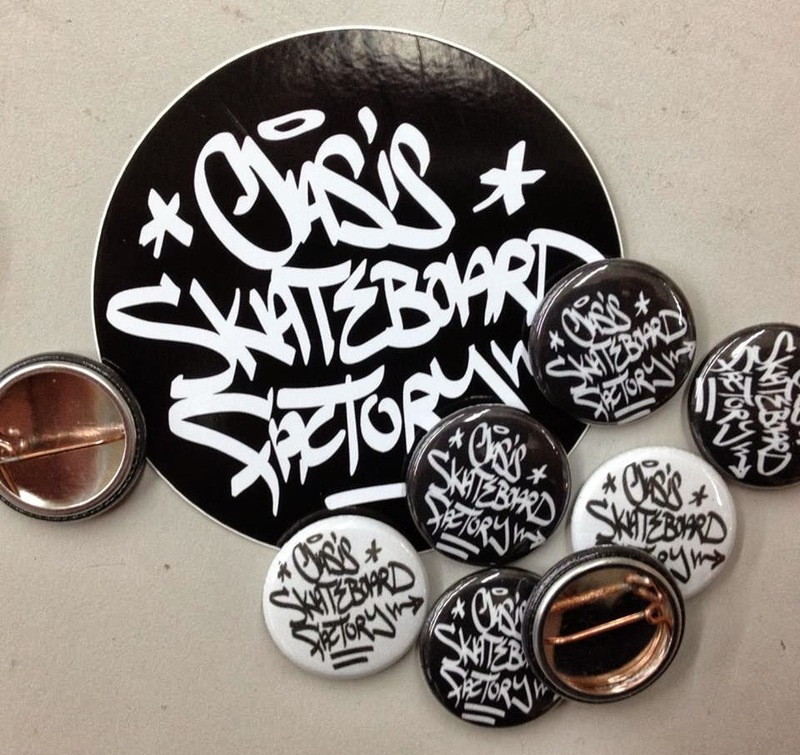 It was created in collaboration with and for Oasis Skateboard Factory. 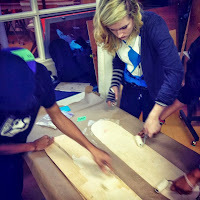 Sweatshop @ West End Alternative created the costumes and East York Alternative created the flags. 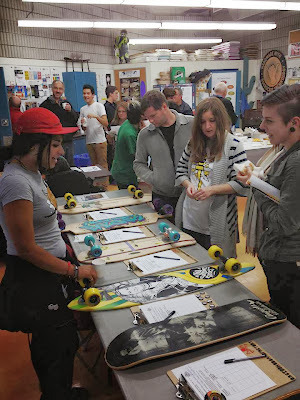 It was premiered at Creatures:Collective Gallery on Dundas West on Oct. 25, 2013. 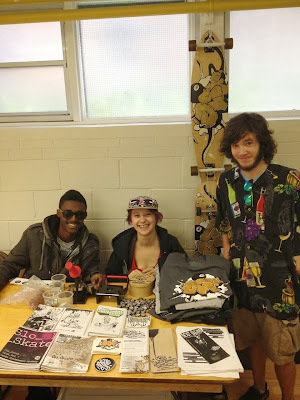 Thank you to Colin Stetson, Shad and Sloan for giving us permission to use their amazing music. BEAST BRIGADE: Friday October 25 7-9PM at Creatures Collective Gallery (822 Dundas St., West of Bathurst)! 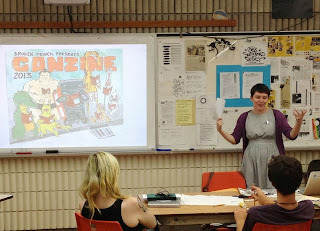 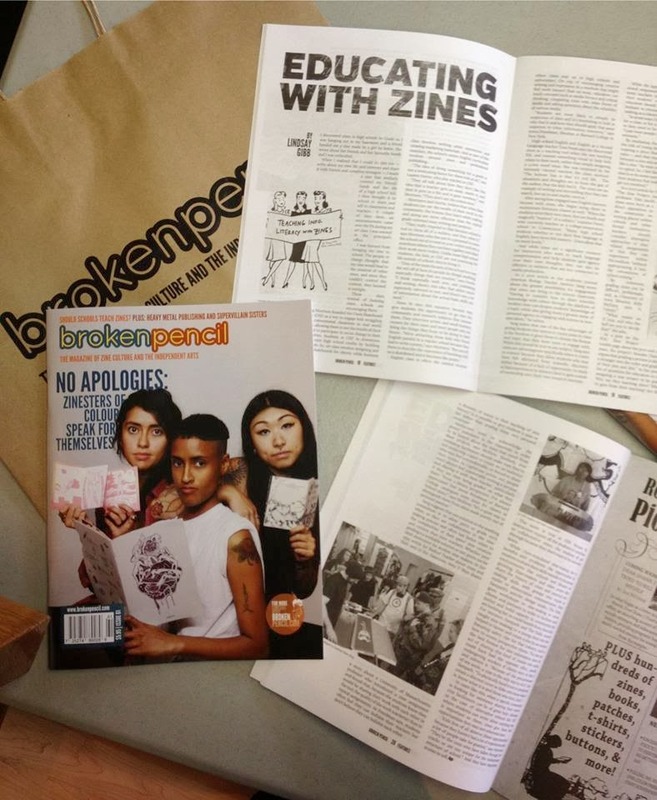 New issue of BROKEN PENCIL magazine released at Canzine with OSF featured in "Educating with Zines" article! 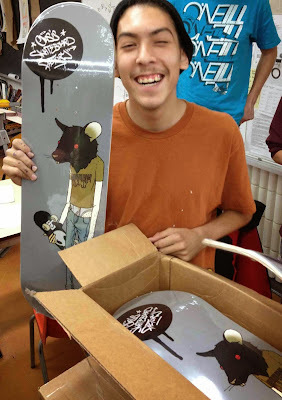 Above: Another Proud Parent: OSF = Student Success! 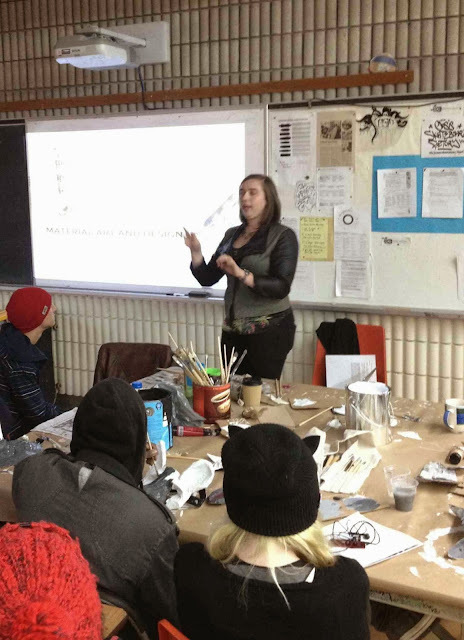 A full house for Amanda Billark's presentation on "What makes a Good Logo?" 12 boards, 2 Students, 2 hours=prep for future fundraiser @ Anomaly ...thanks Roarockit for space & support! 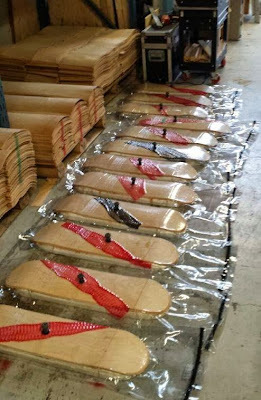 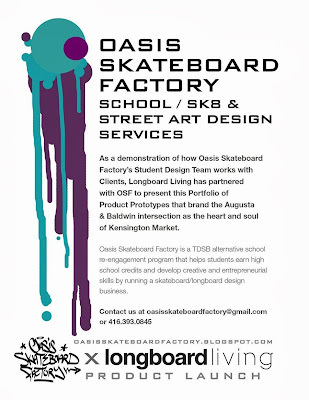 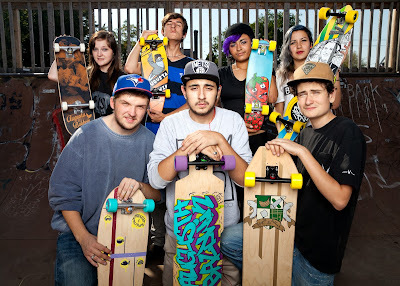 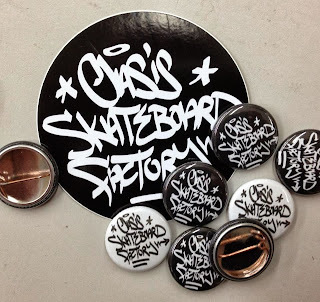 You are invited to the Oasis Skateboard Factory Open House & Silent Auction: Friday, October 18, 6-8PM! 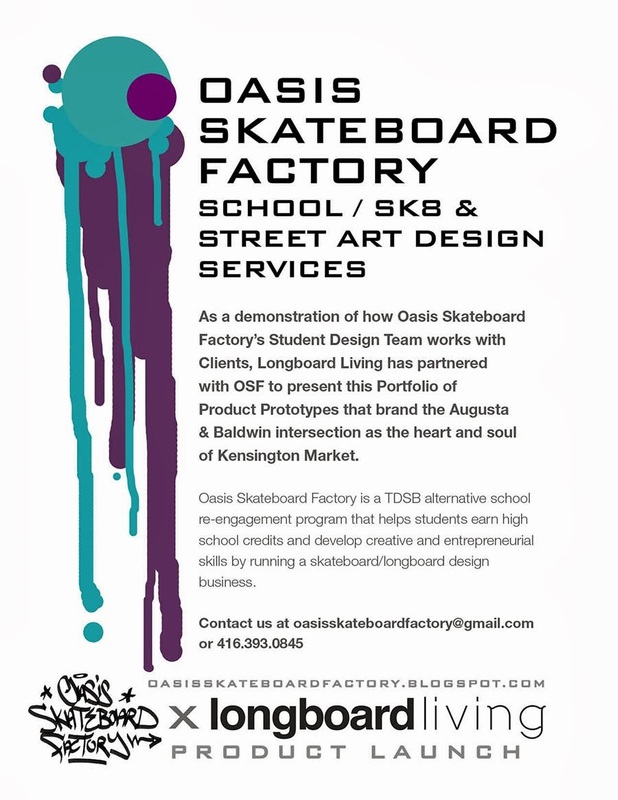 You are invited to the Oasis Skateboard Factory Open House! 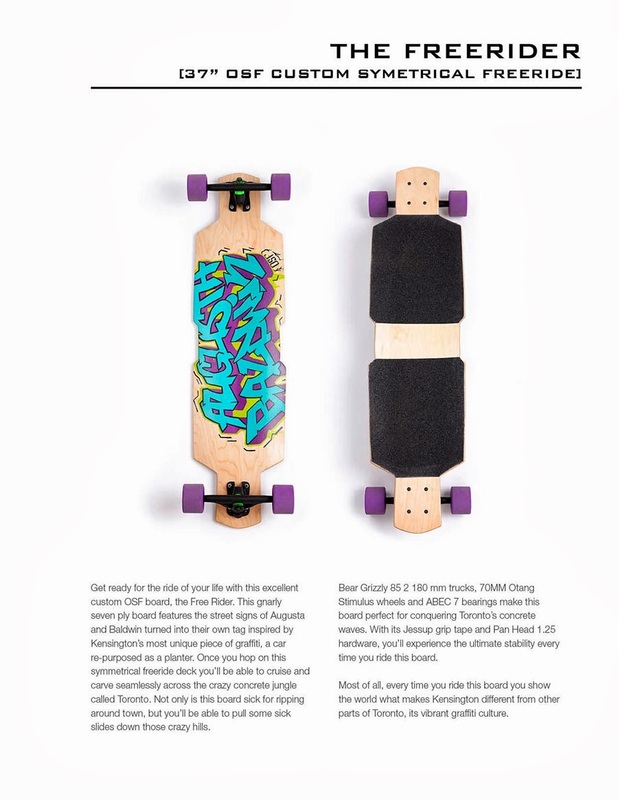 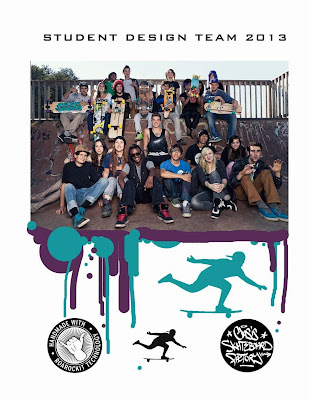 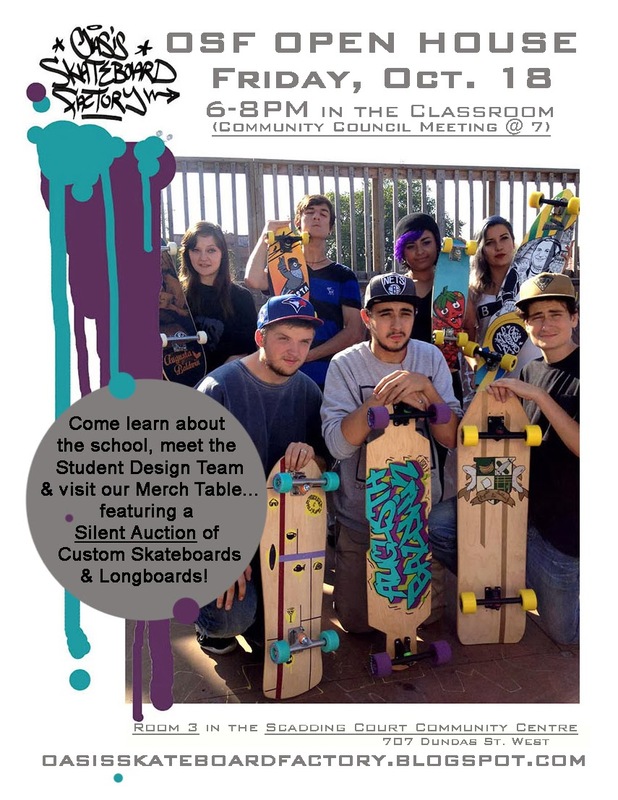 featuring a Silent Auction of Custom Skateboards and Longboards! 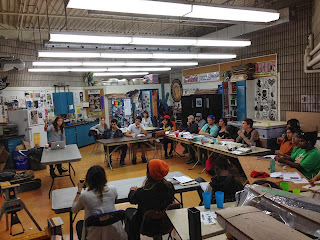 Note: Join us for the first OSF Community Council Meeting of the year @ 7PM! 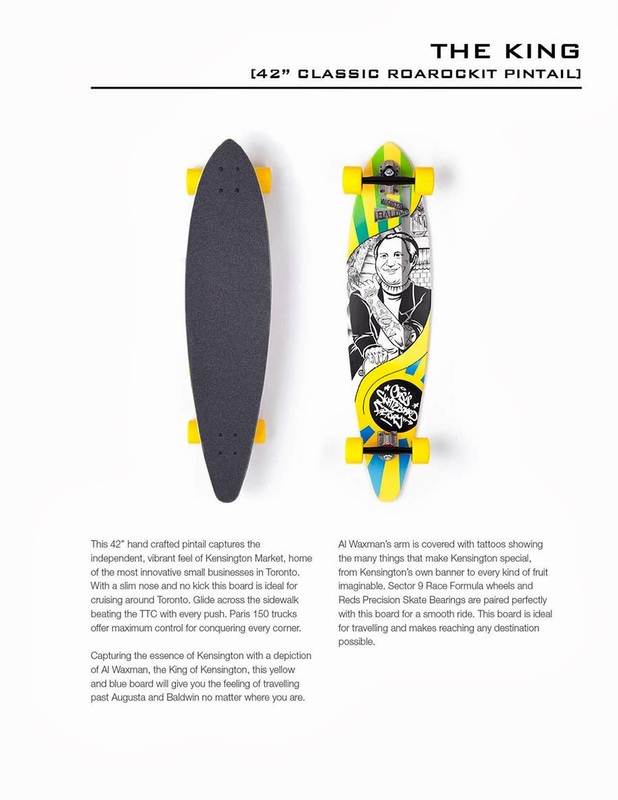 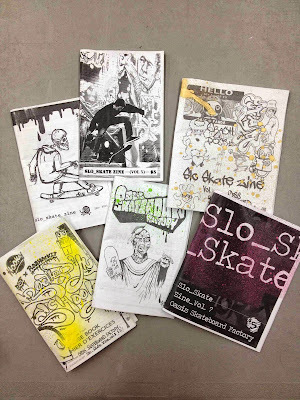 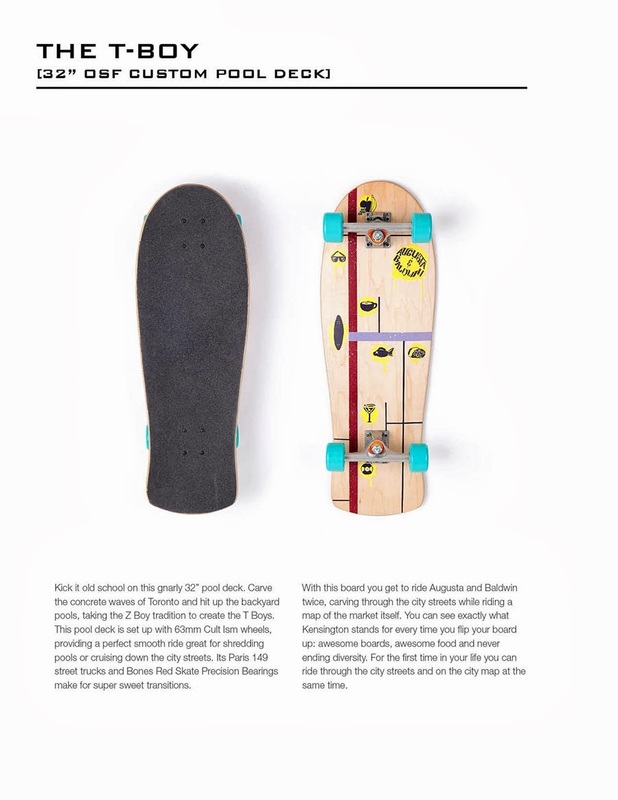 Our OSF OPEN HOUSE on Friday, October 18 (6-8PM in our Classroom) will feature a Skateboard Silent Auction to support the continued success of this school. 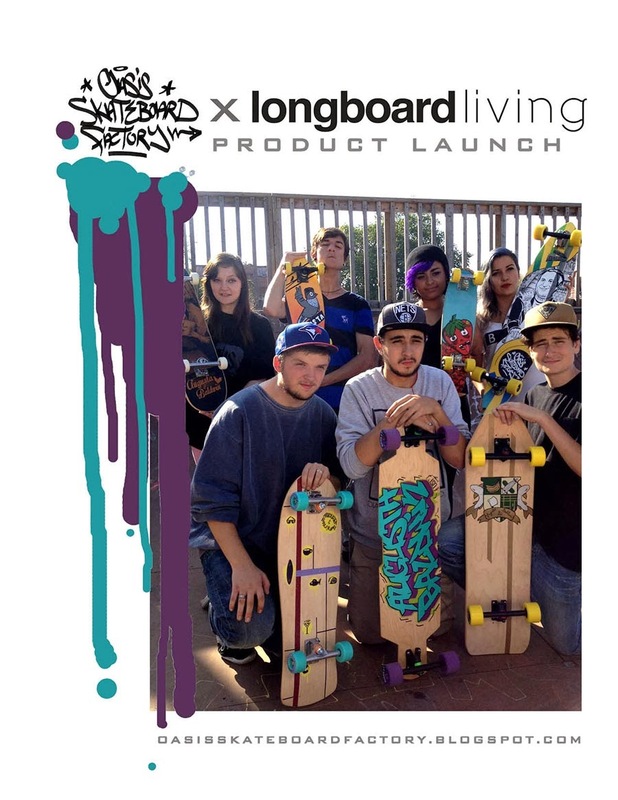 Everyone is invited to this public event so spread the word! 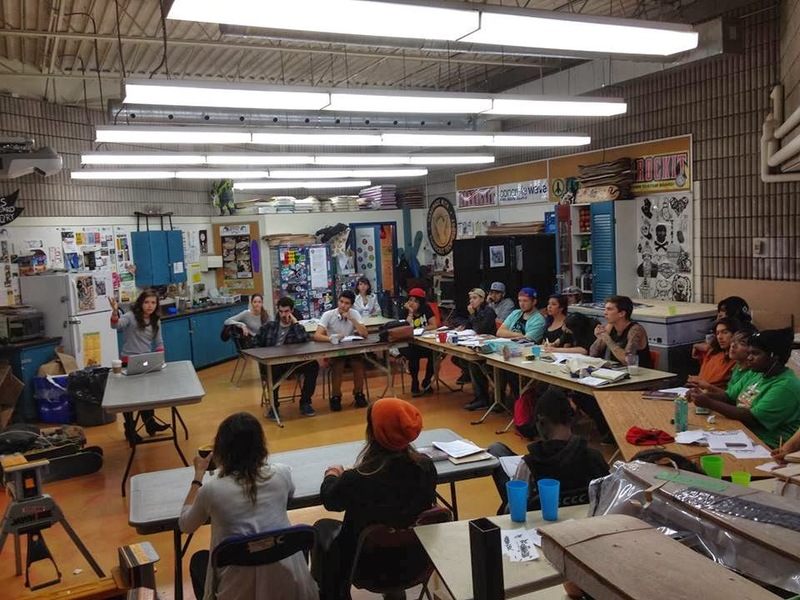 Hey Students, OSF Teachers Craig & Lauren want to congratulate the new Student Design Team on a successful first month of school!